Virtual Kollage: Span of control, what it is. Span of control, what it is. Span of control is very important in determining how effective or otherwise a manager would be in his supervisory duties. It will be useful for us to take a look at some observations within the context of span of management or span of control. The first to understand about the concept of span of control is that, there is a limit to how effective a manager would be. However, there is no limit to how inefficient or ineffective a manager can ever be. Hence the principle of span of management would apply only when we are talking about effective management. As an example let’s look at the number of high school students in one classroom. Ideally, there must be a limit to the number of students admitted into one classroom. This is because no matter how good the teacher is, it would be impossible for him to effectively teach an indefinite number of students lumped into one classroom. The teacher would be limited by issues such as the noise level, inability to give quality attention to each student, providing special supervision to students with specific difficulty in understanding the subject, and monitoring the progress of each student. It would be difficult for the teacher to effectively teach a classroom with an indefinite number of students, regardless of how good the teacher may be. Let us compare the classroom example to a public speaker who is able to address hundreds of thousands of people in a gigantic stadium. In this case, because it doesn’t matter so much whether or not the message of the speaker is well delivered or whether the audience can remember what the speaker said after they have left the gathering or not and so on…, we cannot apply the principle of span of management. This is because unless in extreme cases no one is coming back to examine the audience in a stadium whether they understood what the speaker said or not. This means that we can only apply the principle of span of control to those situations where we expect the manager (in these cases the class teacher) to be effective for obvious reasons. In the company some of these reasons could be the need to grow the company’s profit, increase sales, improve product quality or outsell our competitors. 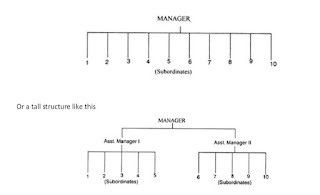 Secondly, whenever we talk about span of management or span of control, we are thinking of which number of subordinates a manager should have under his immediate control or supervision for him to be efficient in managing them an producing the best results. Obviously, this is difficult to tell because a manager may be effective in managing say 10 subordinates in one situation but can only manage say four in another situation. This is why we say that the principle of span of control is situational. In other words, there are no hard and fast numbers of subordinates which can produce optimum results, if placed under one manger’s control in every situation. Much depends on how competent the manager is; the skill and expertise of the sub managers placed under him; and the particular situation in which the firm finds itself. The third thing to note about the span of management principle is that it tells us a lot about the firm’s structure or what is more often called the organizational structure. 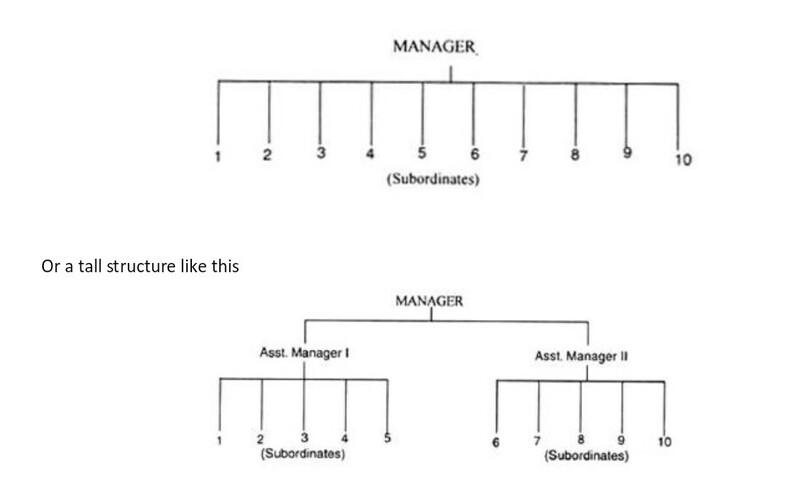 If a single manager could manage the entire number of subordinates, there will be no need for a formal organizational structure. But where the manager cannot manage all subordinates in the company effectively then these subordinates must be grouped under various sub managers; leading to a kind of a structured organizational structure. In large part, this is what creates the distinction between a flat organizational structure or a tall one like the ones in the diagram below. It can be observed that in the top organizational structure the only manager manages all the subordinates in the firm and therefore there are no Assistant Managers. The truth about this scenario is that if we continue to add more subordinates, it will get to a point where the manager can no longer be efficient at managing these subordinates. 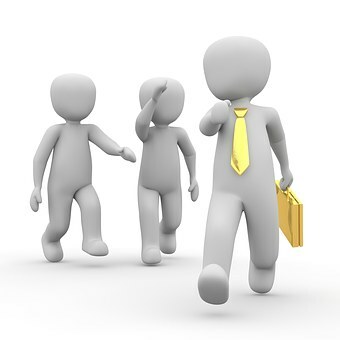 The would then be the need to create positions for assistant managers to manage the growing number of subordinates, leading to a taller organizational structure as in the second scenario. We can conclude that in this kind of firm, the span of management is narrow. Where the firm can function optimally, with a wider span of control the organizational structure would be much flatter.